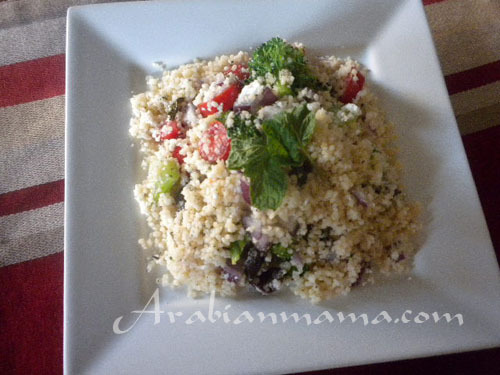 A healthy, tangy salad, that has lots of fresh vegetables and very filling as it has white creamy beans. This is a stable in my Ramadan banquets, it appeals to all my guests. 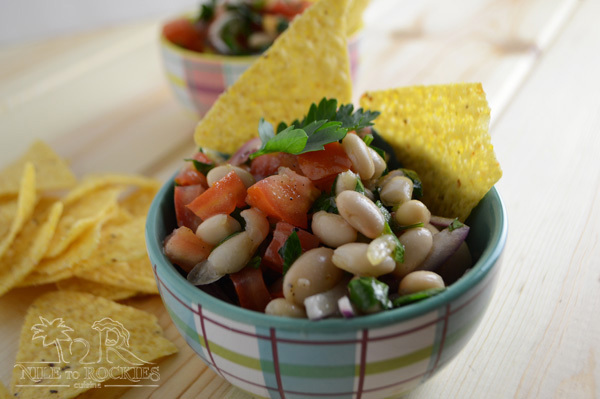 Make this white beans salad as your side dish or make it for dinner with a slice of crunchy Italian bread, stir in some pasta and you will have a meatless dinner ready in no time. 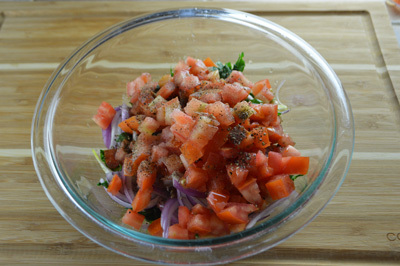 This is a very easy salad, that comes together in less than 10 minutes – excluding the time of chopping. I usually like to make it accompanied with some pasta, so I make it, put it in the fridge until I finish boiling my pasta. Sometimes I serve it with some chicken on the side for those who want more protein but seriously, unless you are so carnivorous like my family, you will not miss the meat. 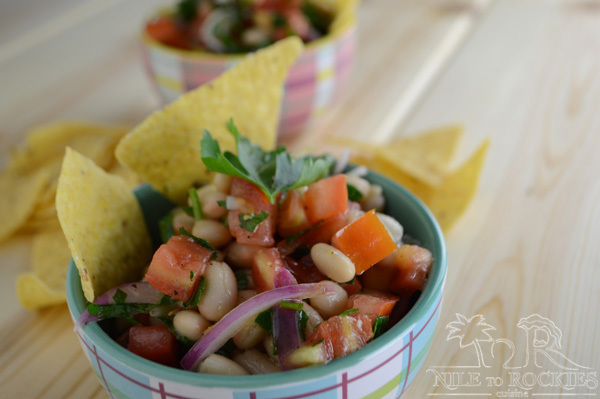 This recipe is so versatile, you also may want to add a can of tuna and have it with some tortilla chips. You can also make it with any kind of beans or bean combination you have but really, you will find that white – cannellini- beans are the creamiest among the beans family, I like this kind of beans as it is easiest for my kiddos to accept as well. 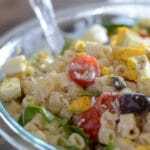 When I am having guests, I would like to serve this refreshing salad with grilled meat and chicken, I have been making this salad for years and it never failed to impress my guests. I hope you will like it and give it a go. Enjoy the rest of your week. 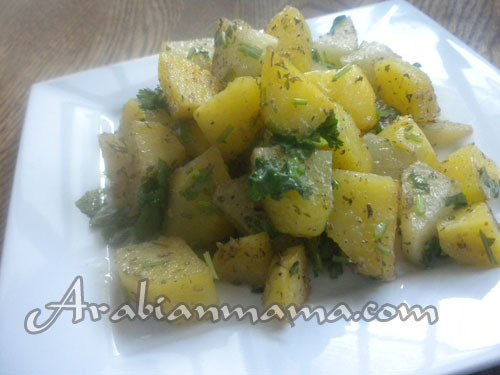 A delicious tangy salad that can easily turn into a healthy lunch or dinner. *1 can white beans 12oz, washed and drained. 1/2 cup red onion cut into wedges= 1/2 small onion. 1/2 cup parsley - chopped. 1/4 teaspoon freshly ground black peppers. 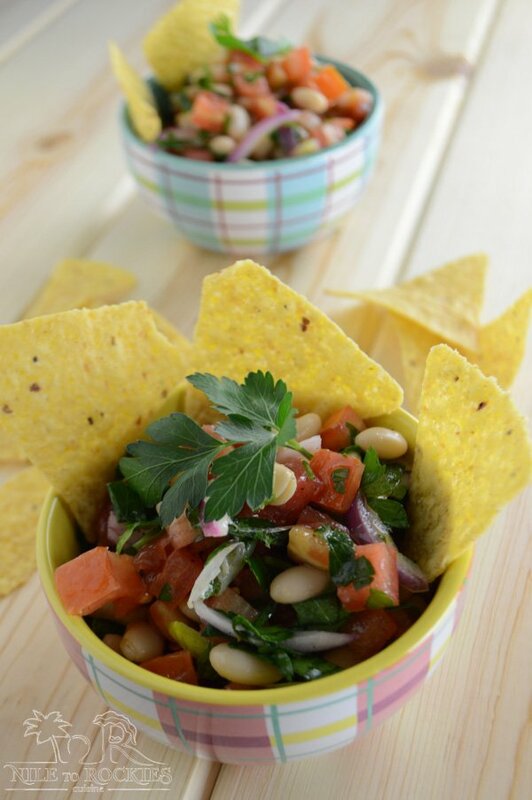 In a bowl, add the washed beans, parsley, tomatoes and red onion. Add the lime juice, vinegar, olive oil, salt and pepper, then mix everything well. 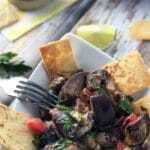 Serve in bowls with some crackers or as a side dish with grilled meats. 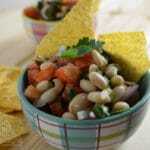 * You can use dry beans, soak it over night and then boiling it until tender. 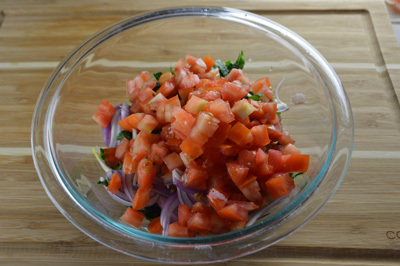 Going to the farmer’s market for fresh tomatoes today, our salad sounds like a nice way of using some of them. 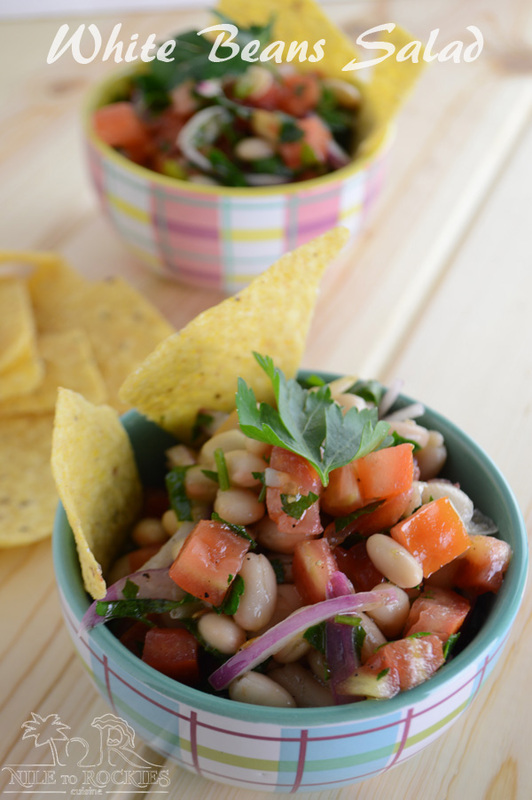 We love bean salads! White beans in particular are so nice at this time of the year, aren’t they? 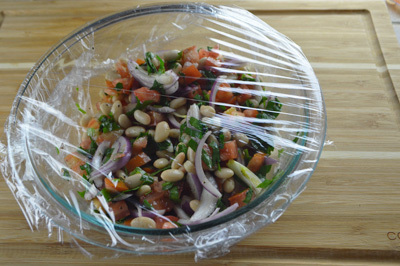 I’ve only made a bean salad once so far this season — you’ve reminded me it’s time to get cracking and make another. And another. And yet another. 🙂 This is terrific — thanks so much. 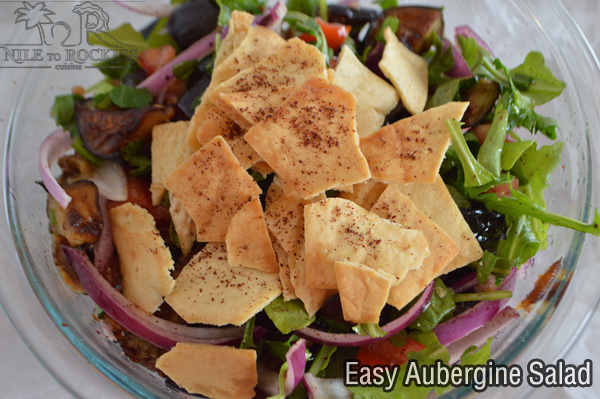 Thanks John, this is a super easy salad recipe and goes very well with grilled meat. Looks like a beautiful and refreshing spring appetizer! And so easy to prepare too… Thanks Mary.